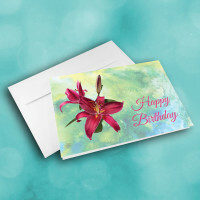 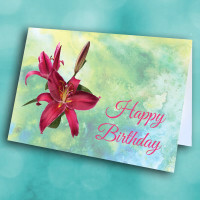 This elegant birthday card is sure to impress, with its beautiful detail and charm. 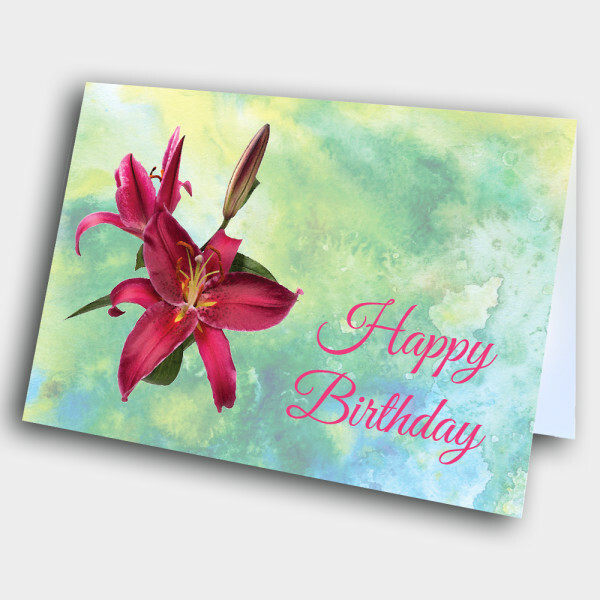 This beautiful, artistic birthday card is perfert for any professional relationships. 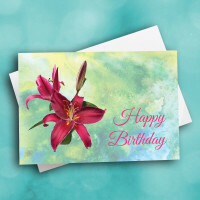 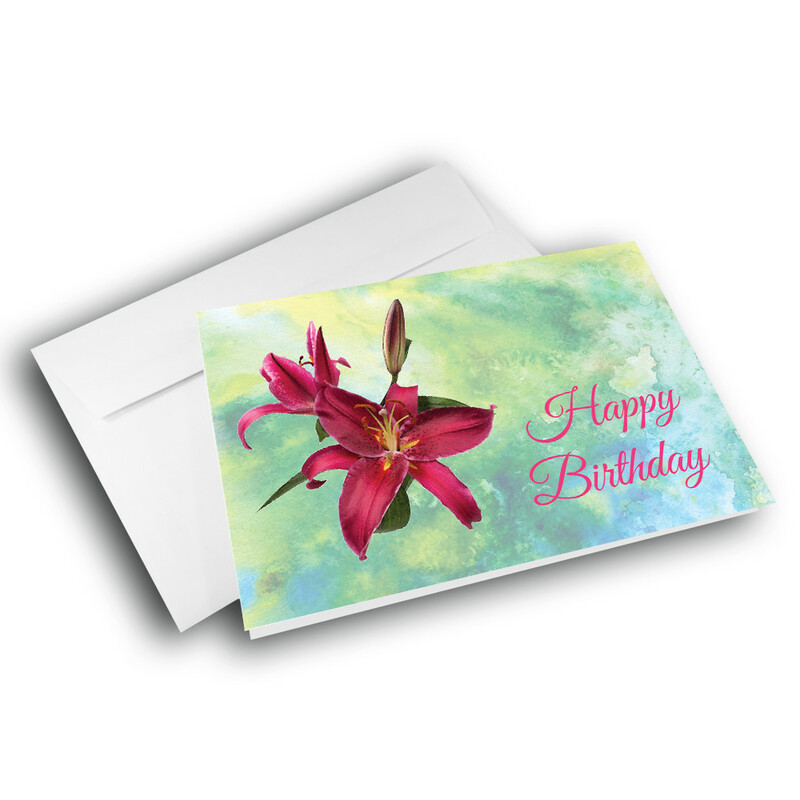 The front is adorned with an intricately drawn, magenta orchid, next to an elegant birthday greeting; both are set against a blue, watercolor background. 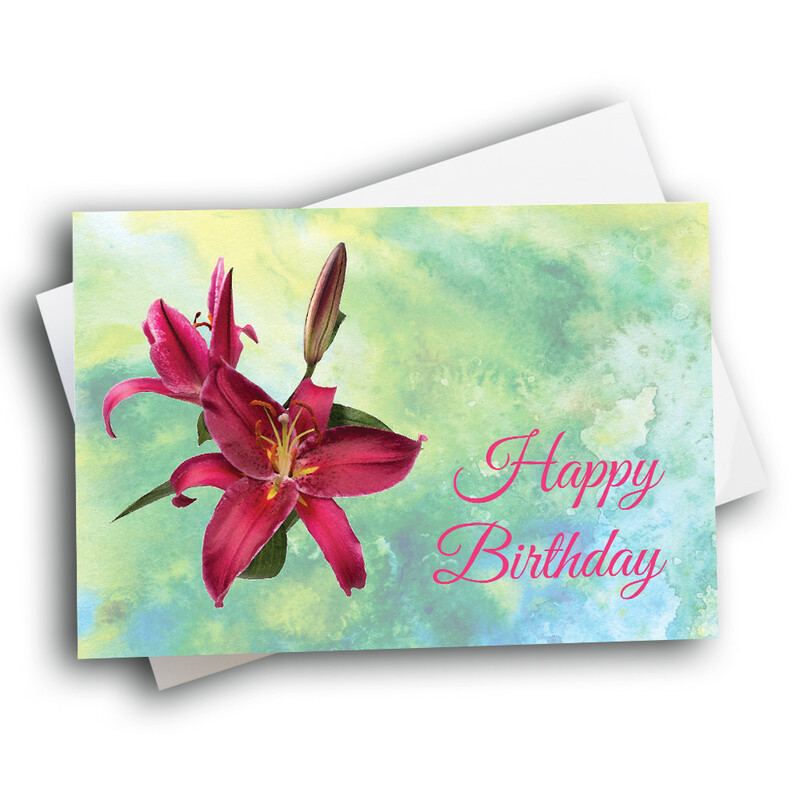 Personalize this card by adding a custom message inside.